Ephesus (Ancient Greek Ἔφεσος, Turkish Efes) was an ancient Greek city, and later a major Roman city, on the west coast of Asia Minor, near present-day Selçuk, Izmir Province, Turkey. 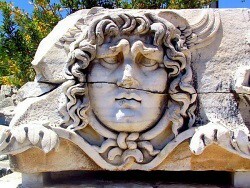 It was one of the twelve cities of the Ionian League during the Classical Greek era. In the Roman period, it was for many years the second largest city of the Roman Empire; ranking behind Rome, the empire's capital. Ephesus had a population of more than 250,000 in the 1st century BC, which also made it the second largest city in the world. 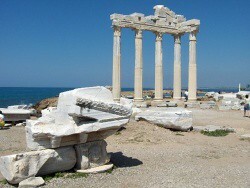 The city was famed for the Temple of Artemis (completed around 550 BC), one of the Seven Wonders of the Ancient World. 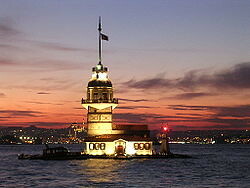 The temple was destroyed in 401 AD by a mob led by St. John Chrysostom. 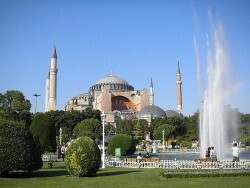 Emperor Constantine I rebuilt much of the city and erected new public baths. The town was again partially destroyed by an earthquake in 614 AD. 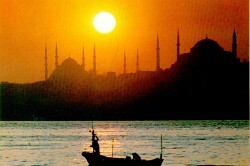 The city's importance as a commercial center declined as the harbor was slowly silted up by the Cayster River (Küçük Menderes). 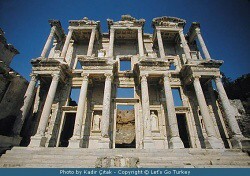 Ephesus was one of the seven churches of Asia that are cited in the Book of Revelation. The Gospel of John may have been written here. It is also the site of a large gladiators' graveyard. Today's archaeological site lies 3 kilometers southwest of the town of Selçuk, in the Selçuk district of İzmir Province, Turkey. The ruins of Ephesus are a favorite international and local tourist attraction, partly owing to their easy access from Adnan Menderes Airport and via the port of Kuşadası. Copyright © B Tube Advantage Blogger Template .